Minerals are naturally occurring inorganic solids with definite chemical compositions and ordered atomic arrangements giving rise to their crystal forms. The Museum has over 30,000 mineral specimens of global provenance. The collection includes specimens of varying size and quality for use as display, teaching and research pieces. The collection contains various fluorescent specimens, some of which are on display in the fluorescence tent in the Museum court. 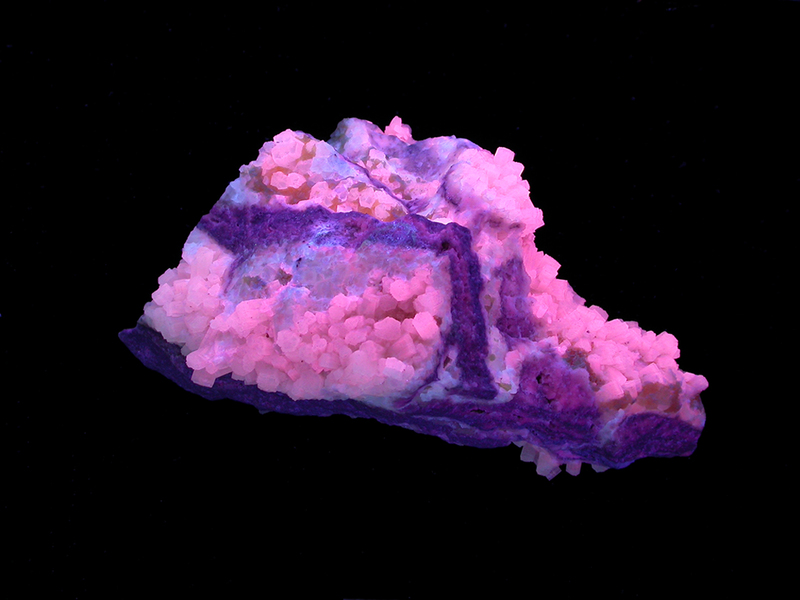 Aragonite (CaCO3) displaying pink and purple fluorescence under ultraviolet light. Some of the minerals in the collection date back to the 1600s; however, much of the information associated with these specimens has been lost over time. It wasn’t until 1896 that Sir Henry Miers, the first full-time Professor of Mineralogy at the Museum, started cataloguing the collections. 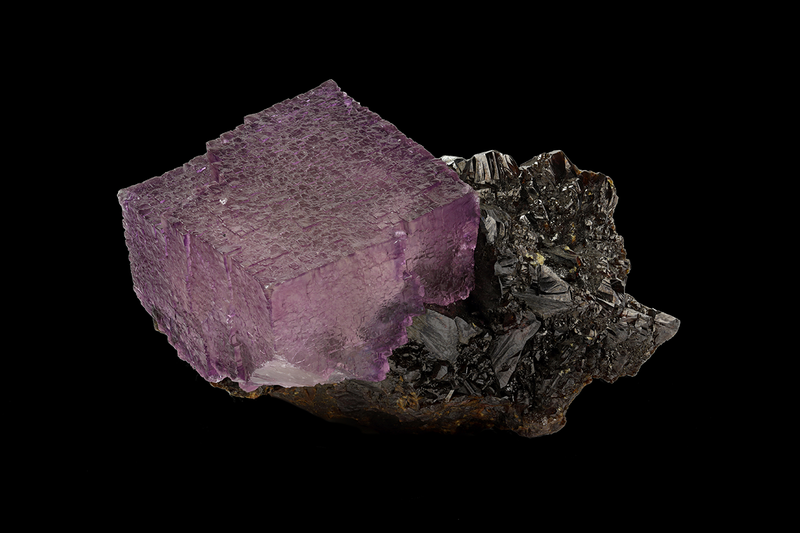 Purple fluorite (CaF2) with dark brown sphalerite ([Zn,Fe]S). The Museum is constantly expanding its mineralogy collections in order to increase the display, teaching, and research potential of its collections.